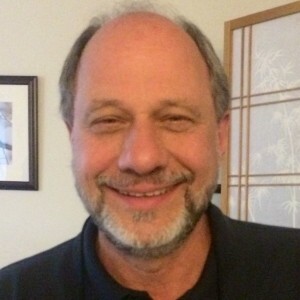 Vincent D. Leoni, Ph.D., a N.J. licensed psychologist and N.J. certified school psychologist, has over 35 years of experience in a wide variety of clinical and academic settings. He recently completed a 27 year career with Hampton Behavioral Health Center, serving as Director of Psychology at Hampton Hospital, and Clinical Director of Hampton Academy, a special education school for students with educational and emotional disabilities. Prior to that, he held several senior clinical and teaching positions in Chicago. He graduated, with Departmental Honors in Psychology, from St. Joseph’s University in Philadelphia, and completed an M.S. in Clinical Child Psychology at Hahnemann University Medical College and Hospital. He received his Ph.D. in Clinical Psychology from the Institute of Psychology at Illinois Institute of Technology, Chicago. He is a certified member of the National Register of Health Service Psychologists. Dr. Leoni works with clients of all ages, including children, adolescents, adults, and seniors. He has conducted research into understanding the ways in which people perceive and understand their environment, and the ways in which our emotions color that process. This understanding remains a particular area of interest, and is a part of his approach in working with clients. His orientation to psychotherapy is largely psychodynamic in character, believing that the relationship between client and therapist is a powerful medium for change and personal growth. He strives to understand and respect the needs of the person and help them to define and achieve their goals within a positive and supportive atmosphere. He has a particular interest in working with people facing challenging life events, including: issues of social and/or school adjustment in young people; changes in personal relationships, such as marital, separation or divorce concerns; choices and changes in career or work life, including early or mid-career decisions and retirement; and coping with significant medical issues (particularly men facing a prostate cancer diagnosis). Dr. Leoni has presented and facilitated groups, seminars, workshops, and in-service training programs to many audiences. Topics have included: stress management, “trauma informed care” for individuals who have experienced some form of life-trauma or loss, and support groups for parents of children with disabilities. As a former radio program host, he is skilled at involving his audience in an active, fruitful learning experience.